Tips are a good thing, right? After all, they show client appreciation for a tech’s hard work and can significantly boost one’s income. But tipping diverts to the dark side when techs and salon owners aren’t properly informed on tax and reporting requirements. Meanwhile, employers are required to withhold and match employment taxes on all employee wages, including tips. Failure to do so compromises employees’ benefits and can incur serious criminal and civil penalties. Schrabeck trains her employees to record any tips (cash or credit) with each transaction. At the end of every workday, employees receive their tips in cash, without deductions. Then, when completing payroll every two weeks, Schrabeck reports the tip totals so taxes can be withheld. Many techs and salon owners are now going “tipless” to avoid the gratuities quagmire altogether. Both Schrabeck and Alberino agree that a tipless salon offers a range of benefits: Customers don’t determine a tech’s wages (creating steadier incomes), while employees and employers needn’t worry about accurately reporting tips, as the expense is built into the service price. Alberino has found that no-tipping policies (in her own and her clients’ salons) have been extremely well- received by customers. “Additionally, tipless business employers are able to strictly manage their employment tax burden,” says Alberino. “Tips are unpredictable income that employers have no control over and are expected to match taxes on. 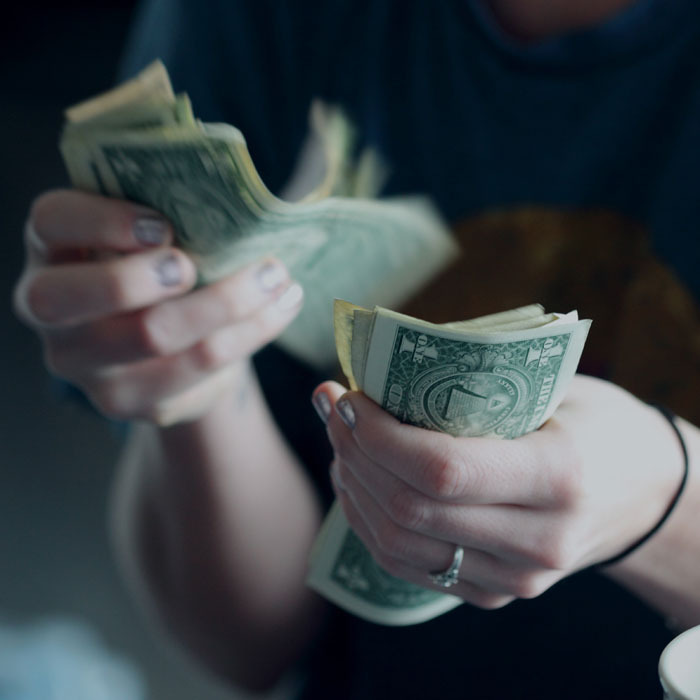 Those taxes (combined with any applicable credit card processing fees) can add up fast.” For example, $200 in tips results in a $15.30 federal tax liability for the salon (6.2 percent for Social Security and 1.45 percent for Medicare). If 12 employees receive $100 in holiday tips from each loyal client, the employer’s tax burden becomes substantial. Last September, the Professional Beauty Association (PBA) asked the beauty industry to support H.R. 6736, commonly known as the Federal Insurance Contribution Act (FICA) Tax Tip Fairness legislation. This would “extend the FICA 45(b) tip tax credit to salon and small beauty businesses … and would improve tip reporting, promote tax fairness and help small businesses,” the PBA reports. “Employers should not be responsible for paying FICA taxes on tip income not paid by them to their employees.” For more information and to take action, visit probeauty.org/fica.